Want to stay informed of when and how the Tapping revolution can benefit YOU? EFT (Emotional Freedom Techniques) is a simple tapping technique that is used widely as both a self-help tool and therapeutic treatment option to help reduce and often totally eliminate emotional and physical discomfort. 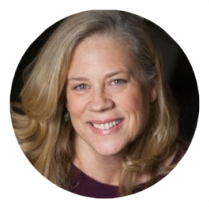 EFT is one of the new Power Therapies, also known as ‘Energy Psychology’ which are developed from the ancient Chinese meridian energy system – it is a form of emotional acupuncture without the needles. EFT is a method for safely releasing unwanted negative or painful, emotions, thoughts and feelings such as sadness, fear, anxiety, anger, guilt, shame, hurt, grief, bitterness etc. EFT relieves the emotional intensity associated with anxiety, fears, phobias and is used to “neutralize” unpleasant or traumatic memories. There's what we know as a result of the scientific studies carried out at universities around the world over the past 5+ years (we can call that "hard science") and then there's what science hasn't quite figured out yet, which we can call "blue sky". According to the hard science, based on RCTs that employed functional MRIs, blood testing and other methods, Tapping reduces arousal in the amygdala. That's a small, almond-shaped part of the brain that plays a key role in our fight-or-flight response. When the amygdala calms, the body stops experiencing a stress response and all its associated symptoms. One of those symptoms is the production of cortisol, the body's major stress hormone. EFT has been shown to reduce cortisol in saliva up to 24% after only one hourlong session. As of August 2016, thanks to a study published in The American Journal of Health Promotion, we can also say that EFT produces positive changes in the expression of genes associated with stress, so that the body is better equipped to handle future stress as a result of the Tapping done to address existing stress. As for the "blue sky" possibilities, while there's plenty to validate it (like over 3000 years of Chinese Medicine for example) we can't say with the same degree of confidence (yet) what role the meridians play or how EFT affects what can be called Chi - vital energy - and how that, if at all, changes emotional and physical states. All we can say at this point is that tapping on the end points of the body’s energy meridians (while thinking of a specific issue), seems to send pulses of energy to rebalance the body’s energy system in relation to that thought/specific issue. In both cases, shifting energy changes the way the brain processes information about a particular issue, and so tapping while tuned in to the issue is like rewiring or rerouting the brain’s conditioned negative response. EFT is based on the idea that unresolved negative emotions have a profound effect on ones personal psychology and this in turn interferes with the body's ability to maintain optimal levels of health. “Tuning in” to the negative emotion, thought or feeling whilst tapping or rubbing a sequence of body energy points, tells the body to switch from the sympathetic nervous system to the parasympathetic nervous system and tells the brain to disconnect the stress response from the memory. When this happens, emotions come into balance and are neutralized. When this occurs it becomes virtually impossible to get upset about the circumstance no matter how hard you try. The memory of the event remains but the negative emotional “charge” is gone. Typically, the result is lasting and a person’s awareness (cognition) usually changes and new perceptual insights (cognitive shifts) into the problem become apparent as a natural result of the application. It is therefore an ideal personal healing tool for letting go of unwanted and/or repressed feelings and emotions. This has enormous implications for bringing about profound and lasting personal changes. EFT is regarded as a “universal healing aid” which means it is a personal healing tool that can be applied to improve any human condition, both physical and emotional. The process is completely natural, painless, versatile and simple to learn and apply. Extensive application of EFT has shown impressive improvements in a wide variety of issues, including those listed below. EFT was developed in the early 1990s. 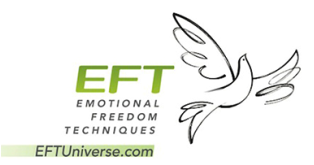 Many of the concepts underlying EFT come from Neuro Linguistic Programming (NLP) and Thought Field Therapy (TFT). TFT involves the use of 10 or 15 individualized tapping routines (algorithms). EFT differs in that it employs only ONE comprehensive tapping routine, basic recipe, which is used for ALL emotional and physical problems. Because of this, it is easy enough to be mastered by most people, including children, making EFT far more accessible and immediate. While EFT and its various applications have produced remarkable results, practitioners and members of the public must take complete responsibility for their use of it. Individuals need to take responsibility for their own health and wellbeing. EFT is not a substitute for competent consultations with medical doctors, psychologists or psychiatrists. As EFT is not meant to replace qualified medical advice, please consult medical professionals regarding your health. If using EFT while you are taking medication for conditions such as diabetes, high or low blood pressure, thyroid conditions or heart conditions it is advisable that you be closely monitored by your doctor. Do not alter your medication dosage without consulting your doctor. EFT can have an effect on you that may require adjustments to your medication on medical advice. EFT is a complementary aid for improving wellbeing and does not diagnose.